To create this fixture in our new studio, we combined strips of LEDs with monitors to make something new and interesting with recycled parts. 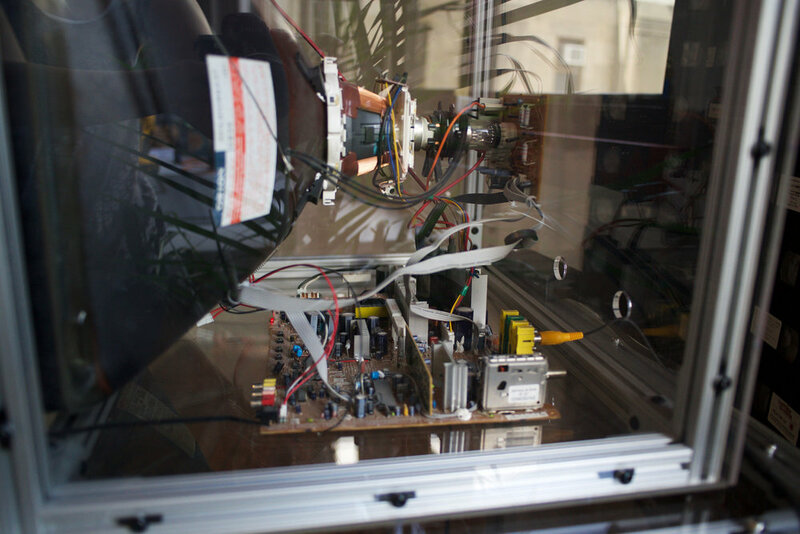 The TV screens display a loop of clips, while Adafruit's Neopixels paired with a FadeCandy controller mirror the border of the videos and shine light on the hanging dodecahedron. 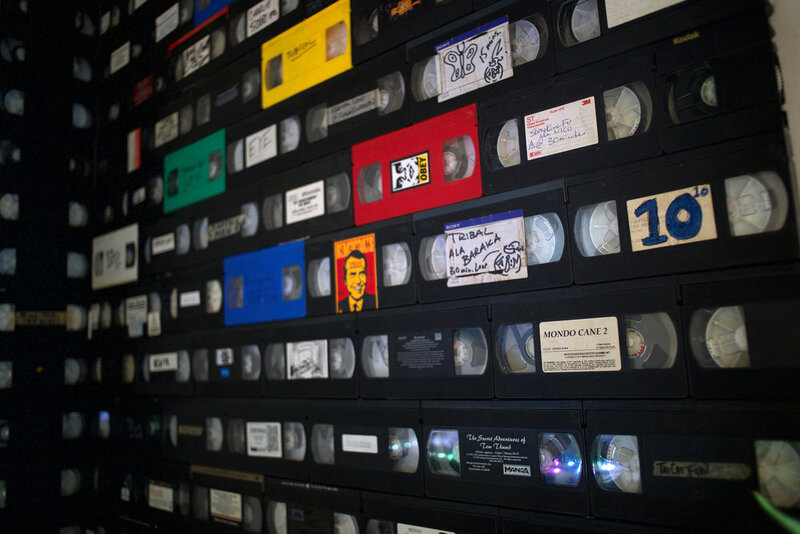 The wall behind is covered in a collection of VHS tapes from the 90s rave video library of VJ Kaboom aka our Creative Director.